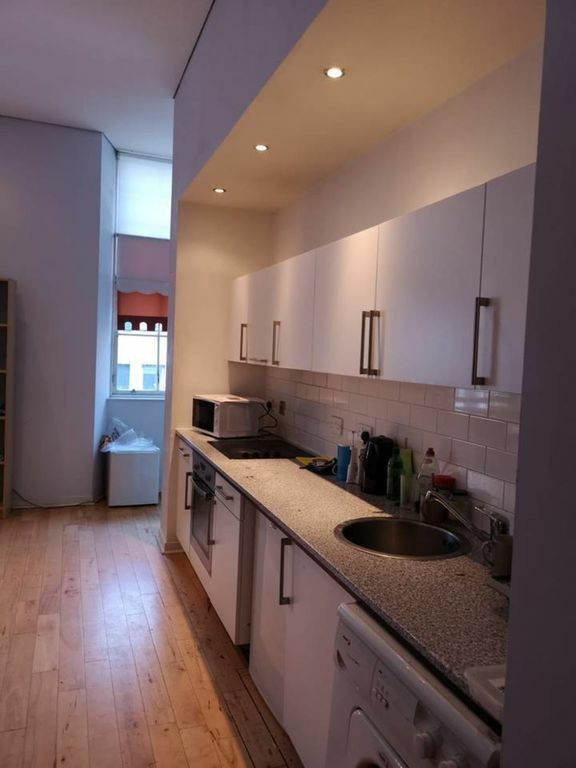 This double bedroom apartment is located right in the city centre of Glasgow with great access to amenities, food places, and shops. This apartment features a double bedroom, suitable for 2 guests to share the double bed. It also features 2 sofa beds, capable of accommodating 1 person each. The kitchen and sitting room area are shared and very spacious. You will be given an access code to access the property before your arrival. Scotland’s largest city, Glasgow is famed for its culture, shopping and people. Spend your day exploring a wide range of fascinating free museums and galleries, enjoying the UK’s best shopping outside of London, and taking advantage of tips from friendly local people on the city’s hidden gems — then choose from 130+ weekly musical events for a special night out. Glasgow is also the perfect base for exploring more of Scotland, with great connections to the Highlands and the islands. There is great access to the city's bus network on Queen Street.